You'll be £19.99 closer to your next £10.00 credit when you purchase Once a Hussar. What's this? 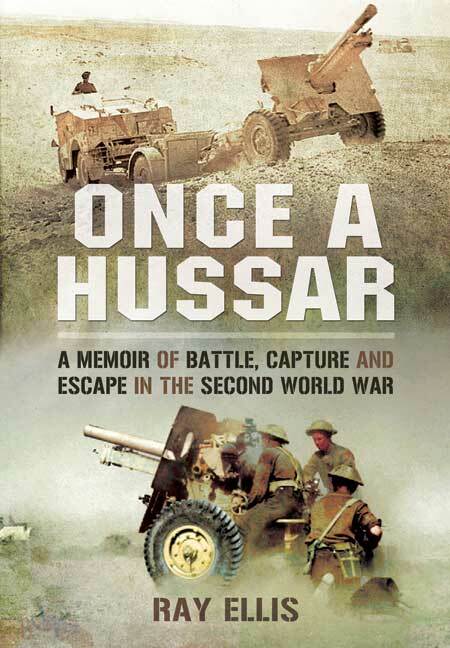 Once a Hussar is a vivid account of the wartime experiences of Ray Ellis, a gunner who in later life recorded in this well-written, candid and perceptive memoir the conflict he knew as a young man seventy years ago. As an impressionable teenager, fired with national pride, he was eager to join the army and fight for his country. He enlisted in the South Notts Hussars at the beginning of the Second World War and started a journey that would take him through fierce fighting in the Western Desert, the deprivation suffered in an Italian prisoner-of-war camp and a daring escape to join the partisan forces in the Appenines. His story is an honest and moving memoir of the horror of warfare, but it also reveals the surprising triumphs of the human spirit in times of great hardship. Ellis's self-deprecating humour skilfully counters the harsh realities related in a personal recollection of a war that claimed so many young lives. Ray Ellis joined the South Notts Hussars in 1939 and served overseas as an artilleryman in Palestine, Egypt and the Western Desert, taking part in the battles fought at Tobruk and Knightsbridge where he was captured. He survived extreme privations as a prisoner of war, escaped and lived for a year on the run in the mountains of central Italy. After the war he became a teacher and, in retirement, wrote this remarkable memoir.